This painting, lightcityfog apunte is a small studio painting of a Spokane subject, the view from Division Street looking down Riverside Avenue. 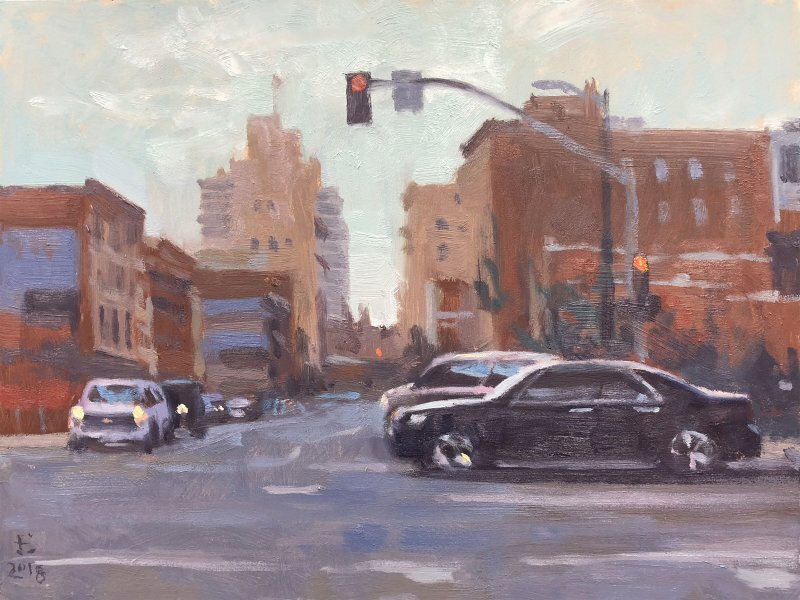 I'll be teaching a series of plein air workshops in Spokane this coming summer. You can find details on my classes website, as well as occasional flash discounts in the months before summer. Potential painting sites include Manito Park, Riverfront Park, Latah Creek and Centennial Trail.